According to Norwegian scientists involved in a polar expedition, the Arctic Ocean seems to be entering “a new era” due to profound changes in the region’s ice cover. 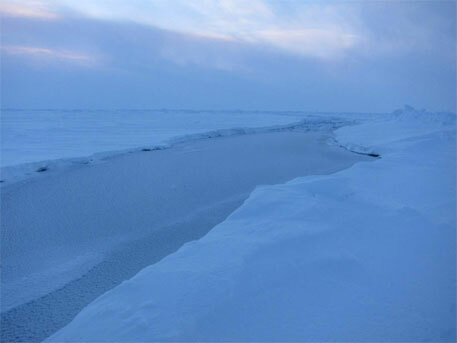 A transition from a thick ice layer to a thinner one which melts and subsequently vanishes in the summer will have far-reaching consequences on climate, they warned. The Norwegian Polar Institute (NPI), which deals with polar research, sent an expedition to the Arctic Ocean in December last year. 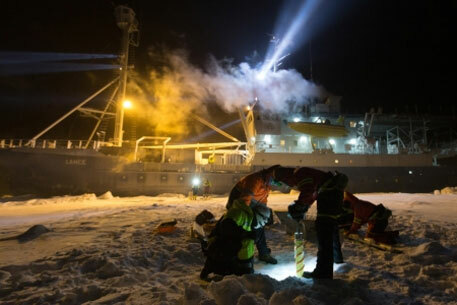 The aim is to understand the effects of the thin, first-year sea ice in the Arctic on energy flux, ice dynamics and the ice-associated ecosystem as well as on local and global climate, Harald Steen, the project leader of the Norwegian Young Sea ICE Cruise (N-ICE) told Down To Earth:. Eighty scientists from 10 nations are involved in the project. “Scientists will also try to understand how the available ocean heat is mixed upwards with the sea ice and to what extent it influences the sea ice energy budget,” Steen said. Another interesting thing which the team will study is the fate of solar radiation on the first-year sea ice and how its fate is affected by properties of the atmosphere, snow, ice and ocean, according to Steen. 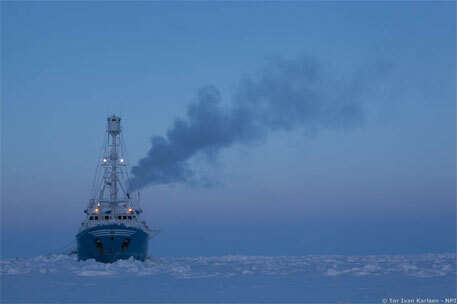 As part of the NPI cruise, a research vessel, the Lance, was deployed and allowed to drift with the pack-ice. In September 2012, the institute had witnessed the smallest sea ice extent on record in the Arctic region. The expedition will attempt to provide a comprehensive view of all the key aspects of the Arctic Ocean, experts said. 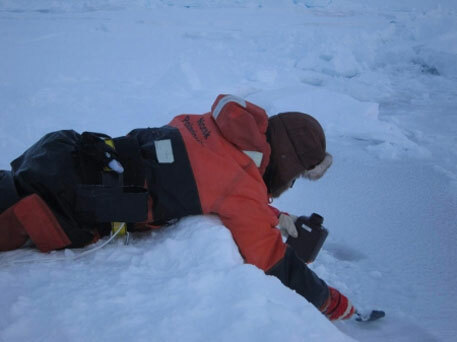 The most important focus of the expedition is to examine the younger ice which is thin (see pic below). The drawback of thin ice is that it breaks easily. It is also affected by winds, and hence, is more dynamic in nature. Due to a flatter surface, the melt ponds that appear during late spring and early summer are shallower and so they allow more light (energy) to penetrate to the ice and the water below, Steen said. In late summer, the thin ice reflects 10 per cent less of the incoming radiation than multi-year ice. Of this 10 per cent, about half is absorbed by the ice and the remaining half enters the water and the ecosystem below it. This results in an increased rate of melting, resulting in more surface open water. From this open water, energy is transferred to the atmosphere which warms it up. “A warmer atmosphere over the Arctic is believed to affect the jet streams in the north, that in turn, affects weather at lower latitudes,” he told Down To Earth. When asked whether the thin ice is a result of global warming, Steen said, “Majority of the scientists believe that increased temperature is caused by greenhouse gasses emitted by humans. The obvious cure to this problem is to reduce emissions.” However, according to some experts, some species may also benefit from the ocean having less ice cover as more sunlight will allow the plankton to flourish.